Today I’m kicking off my new blog series with a guest post from the lovely Carmen Swanwick-Roa. Carmen is a freelance translator working from Portuguese and Spanish into English. Find her on Twitter at @swanwickroa or in the real world at translator events and Japanese restaurants. You’ve seen the meme. The one showing a cartoon skyline of apartment blocks at night, with one light on in one window, captioned “how to recognise a translator”. We’ve all been there, but is it really the image we want to be projecting? To me, the whole idea of “freelance” is completely at odds with the stereotype of the overworked translator. I became a freelancer so I could regulate my own working hours and ensure a good work/life balance without any of these things being imposed on me by an employer. So it puzzles me when I see freelance translators grumble if they have to work all weekend until stupid o’clock to get a job delivered on time. Don’t get me wrong. I understand that letting off steam to colleagues about your workload can be therapeutic, especially when your parents/husband/goldfish think the sentence “My client’s asked for discounts on fuzzies, Trados has frozen and the TM is garbage” needs translating itself. Sharing memes about burning the candle at both ends and venting about the Leaning Tower of Paper on your desk is usually just a way for translators to cope with tough days. However, the image of the red-eyed translator tapping away at their keyboard at 2am, still in yesterday’s pyjamas, isn’t exactly something to aim for and casts the profession in a poor light. And although the goal is freelancer solidarity, it affects how young translators view their new career and how outsiders see us. Reiterating the message that the average translator is working night and day (and night again), even through obvious hyperbole for the purpose of amusement, perpetuates the idea that freelance translators should expect and put up with this sort of lifestyle. Let’s challenge this stereotype and break the cycle – if we want to be seen as professionals on a par with lawyers and accountants, we first have to change how we see ourselves. Recently, I’ve noticed an increasing number of memes and posts on social media that seem to play into several negative stereotypes people have about translators and about translation as a profession. While I realise that translation, or any career, is not all rainbows and sparkles, it seems to me that these posts, whether meant ironically or not, do nothing to help raise our professional profile. Translation is often a misunderstood profession – and there is no easy way to combat this. Nevertheless, over the coming weeks, I’m going to be challenging some of the stereotypes I come across most often and exploring what we can do to overcome their negative impact. If there’s a stereotype you’ve heard lately that you would love to write about, get in touch and let me know! So I’ll admit it – I am a word-class procrastinator. Back when I was in uni and living with friends, we even came up with the term ‘procrastibaking’ because every time exams loomed, our kitchen would become a hive of activity, the three of us trying out various new recipes – anything to avoid the studying we should have been doing! Working from home, with no one to answer to but yourself, it can be all too easy to let procrastination take over – from spending hours on social media to cleaning the bathroom, I think we all find ways to put off those tasks we dislike the most, whether it’s marketing, accounting or filing. But when you are solely responsible for your business, if you want it to be a success you need to overcome the desire to procrastinate and actually get things done. I’m slowly getting better at this (although I still have a long way to go) and thought I would share a couple of the things that really help me out. This is a nifty little extension for Chrome that blocks certain websites for a set period of time before giving you a ‘break’ period where you can access them. I find it really useful for avoiding social media when deadlines are looming. Added bonus – I also use it to remind me to drink more water and get away from the desk through the day – I spend my break going to the kitchen and getting a fresh glass of water. When I first started freelancing, I worked very long hours – but wasn’t really any more productive than I am today. Knowing that I could work until 3am meant that I didn’t have the same impetus to get my work done, so would procrastinate throughout the day. I would also mix professional and personal tasks – sorting the laundry, doing the grocery shop etc. through the day. Now, I work set hours every day and personal tasks are done during my breaks (if they are quick) or at the weekend. Knowing that I have to be finished by 6pm helps get me through that mid-afternoon dip in energy! This is a new one for me – and the inspiration behind this blog post. Last week, a group of us designated a ‘Do It Day’ – a day where we hold each other accountable for ticking things off our to do lists. There is something about being accountable to others that makes it much harder to procrastinate, and I got through a few tasks that had been on my list for far too long! I learnt about do it days from a podcast by Tess Whitty – a really useful resource to check out (although not when you’re meant to be doing other things, of course)! Ah January. The month of resolutions, reflection and goal setting. I thought for a long time about whether or not to publish a blog about this subject this year – after all, it seems like almost every blogger in the world is posting something similar! And I’ve already said quite a bit about setting goals on this blog in the past. So today, rather than going into detail, I just wanted to post my three key resolutions for 2016 – mainly as a record for myself, but also to inspire you to think about what it is you want to achieve this year. This year I want to consolidate my expertise in the biotech sector so I can really focus on direct clients in this field. I’ve already signed up for a Udemy course, and I’ll be looking at more CPD opportunities in a few weeks. This involves continuing to “train my Dragon”, but also reviewing the resources I use for translating and my administrative processes to ensure I’m making the best use of my time. That’s it! Three deceptively simple little resolutions. I’ll spend some time this weekend breaking them down into SMART goals and scheduling specific actions so that hopefully in a few months, I’ll be on track to achieving everything I want to in 2016! Hi Carol. I know you don’t offer interpreting, but just this once, could you maybe…? Not so long ago, I would have said no immediately. All the possible negative outcomes flashed through my mind, and I almost turned down the job. But after chatting about it in more detail (nothing technical, an informal business meeting for a company I know fairly well), and with my vow to be more confident in the back of my mind, I decided to go for it. A couple of weeks after the job, the client called back and requested me for a similar job – and it’s likely this will turn into something fairly regular. I took a risk, and it paid off with a very satisfied client, a fulfilling new experience and the potential for a long-term collaboration! Sometimes, it pays to take risks. I’m not suggesting you go out and do something silly just for the sake of it, but it can be incredibly rewarding to take a step outside your comfort zone and stretch your wings! What risks have you taken lately? 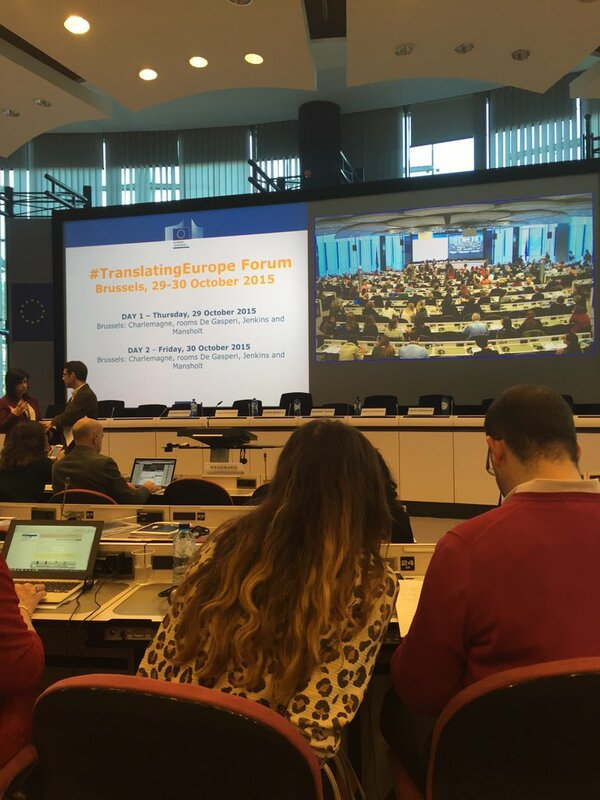 Last week, I spent Thursday and Friday in Brussels at the Translating Europe Form, a conference mainly geared towards those in the early stages of their translation career. I wasn’t really sure how relevant some of the presentations would be, but it seemed like a great opportunity to review some of the basics of my business and see/meet colleagues in one of my favourite cities! One thing I particularly liked about the way Translating Europe was organised was that most of the sessions covered several topics at once – each grouped into overarching themes like ‘the journey from language enthusiast to young professional’ or ‘a palette of skills for a 21st century translator’. These bitesize presentations meant that we could cover a huge range of subjects in a fairly limited amount of time. A number of interesting ideas were presented – one I particularly liked was Gent Vertaalt – a professional network based in Gent and which could certainly be adapted for other cities with a large number of translators. The full-length plenary sessions were some of the highlights of the conference for me – the speakers had obviously been chosen with great care, and it was great to have another opportunity to hear Marta and Valeria speak. 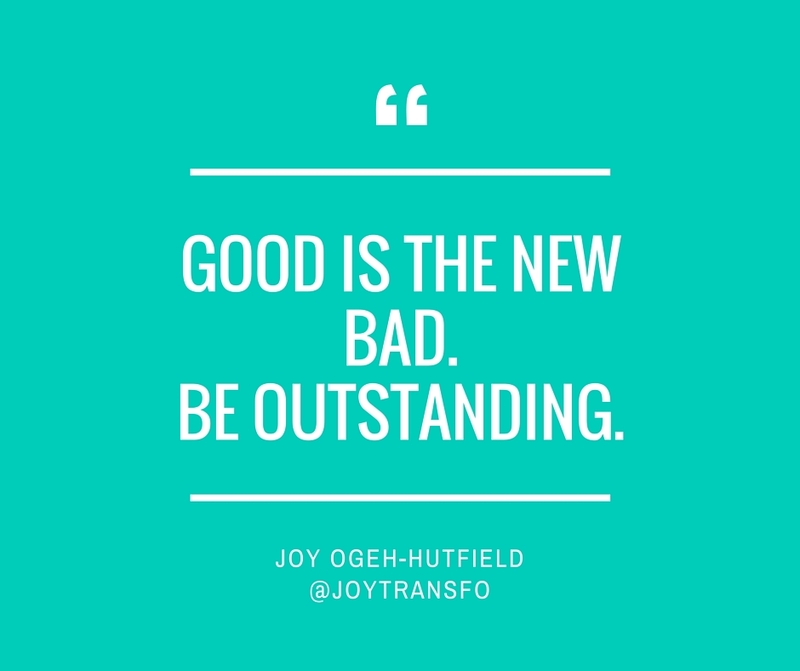 I know some people are very disparaging of “motivational speakers” (often said with quotation marks inferred) but I found both of Joy Ogeh-Hutfield’s presentations inspiring and thought-provoking, and they certainly provided some of the most ‘tweetable’ quotes of the two days! 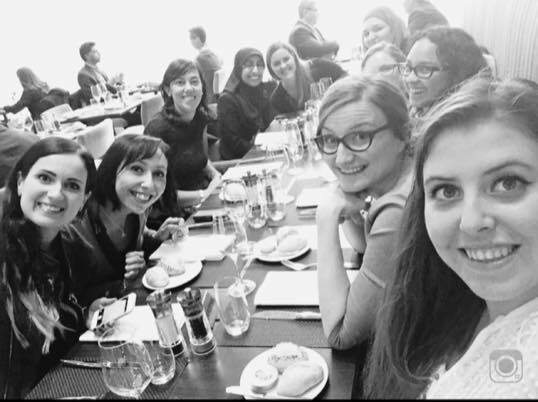 After the conference ended on Friday, a group of us went for lunch at a very chic restaurant down the road, and discussed various business-related things – the perfect way to end a very inspiring few days! So, was it worth going? While I didn’t really learn anything ‘new’ from the conference, it has really prompted me to take a look at my business and whether I am where I want to be – and I’ll be making some changes as a result! It can be all too easy to get bogged down in an everyday routine and sometimes it’s good to take a step back to see the bigger picture. I’m not sure I’ll go to the same event next year, but I would certainly recommend it to any new translators out there.